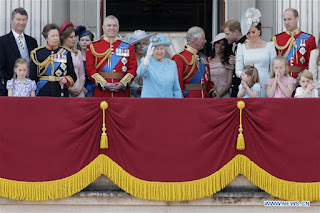 The annual birthday parade of British monarch Queen Elizabeth II took place in central London on Saturday, and saw the latest addition to the royal family in attendance for the first time. 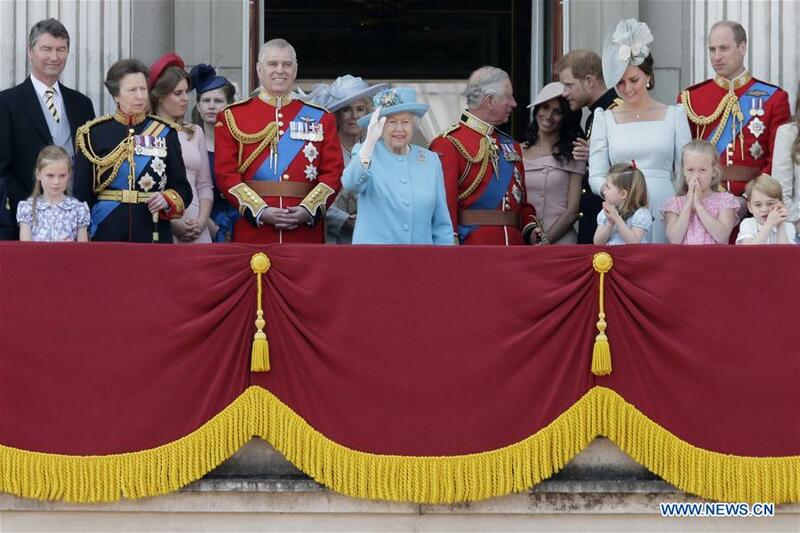 American actress Meghan Markle, who married Prince Harry, sixth in line to the British throne, last month, attended her first birthday parade as the Duchess of Sussex. The birthday parade is held each year on a Saturday in the first half of June, and involves more than 1,000 soldiers in ceremonial uniforms and several hundred cavalry soldiers on horseback. The parade is officially known as Trooping the Color, in which a regiment of soldiers from the Queen's personal division of soldiers, the Household Division, is chosen to parade its flags. This year's regiment was the 1st Battalion, Coldstream Guards. The Trooping the Color ceremony has been used to mark the monarch's birthday for 260 years.